﻿ How will Real Madrid survive without Cristiano Ronaldo in February? 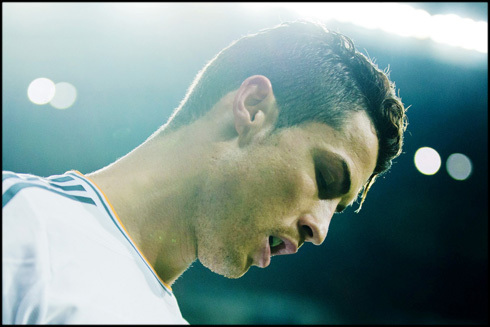 07.02.2014 » How will Real Madrid survive without Cristiano Ronaldo in February? The "Appeal Committee for the Spanish Football" has confirmed the previous ruling that consisted on a 3-game ban to Cristiano Ronaldo. Basically, this means that the Real Madrid forward will have to sit out in the upcoming 3 league games. The suspension won't have any effect in other competitions though, as the Copa del Rey or the UEFA Champions League. 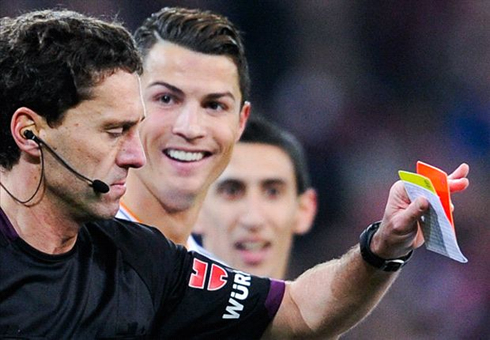 A lot has been said already about the controversial red card shown to Cristiano Ronaldo in last weekend's 1-1 draw between Real Madrid and Athletic Bilbao. The Merengues ended up losing not only two important points in the title chase, but also their most important asset: Cristiano Ronaldo. The 29-year old forward will have to watch the next 3 Real Madrid league games from the stands, which is the same as saying that he'll only have two more games left in February where we can actually be eligible to play. Those will be the Copa del Rey's semi-finals 2nd leg against Atletico Madrid next week (February 11) and the UEFA Champions League first leg at the last-16 round, against Schalke 04 (on February 26). How Real Madrid will manage to cope with this reality is still something that Carlo Ancelotti will have to solve out, but at this point, no one can seriously question that without Ronaldo, Real Madrid's attacking options suffer a huge hit in terms of firepower. Real Madrid has kicked off 2014 in great style, wrapping victory after victory in both La Liga and Copa del Rey games. In January, the Merengues' form was so impressive that they managed to secure 8 straight wins without conceding a single goal in any of them. Paradoxically, Cristiano Ronaldo's form seem to have gone the opposite way, since the Portuguese player only scored 5 goals out of 10 appearances for the Spanish club. For a few people, it might seem too harsh to point out someone's form declining based on a single month period, but the truth is that Ronaldo's stats and performances on the pitch since the beginning of the 2014 year have been a bit below the expectation levels he has made us get used to. That's certainly one of the downsides of carrying his team on his shoulders throughout most of the games in the past years... now everyone will point him the finger and throw critics whenever that doesn't happen. Ronaldo was sent off in the new San Mamés stadium last February 2 and since then, we've been witnessing to a true battle off the pitch in order to get a final decision on the extent of his suspension. Real Madrid rushed to step on to defend Cristiano Ronaldo, and despite several appeals made in the last days, the "Appeal Committee for the Spanish Football" confirmed this Friday that the 29-year old forward will have to miss the upcoming 3 league games (Villarreal on February 8, Getafe on February 16 and Elche on February 23). Ronaldo will only make his return in La Liga only on March 2, in a crucial game at the Vicente Calderón, against Atletico Madrid. Without Cristiano Ronaldo helping on the pitch, Real Madrid winning ratio in La Liga in the past 4 seasons and a half goes down to 66%. This season only and with Cristiano Ronaldo spearheading the attack, Real Madrid won 80% of their games in all competitions (La Liga, Copa del Rey and UEFA Champions League). There is hardly any other player in the club who has been more influential in the team over the past 4 years than Cristiano Ronaldo. In those 18 league games where Ronaldo didn't play, Real Madrid scored a total of 40 goals, resulting on an average of 2.2 goals per game. In the other hand, when Cristiano Ronaldo is on the pitch, Real Madrid's goalscoring average per game rises to 2.75. So how exactly are Real Madrid and Carlo Ancelotti preparing to go through February and those 3 league games without their main star? In a title race where any point dropped can very well end up being decisive when crossing the finish line, the Merengues can't afford to lose sight of neither Atletico Madrid or Barcelona. For that to happen, winning against Villarreal right this Saturday, as well as Getafe and Elche in the few weeks ahead, is mandatory. It's not all bad news though. Gareth Bale seems to have finally recovered from his injury problems and he'll be eligible to play tomorrow at the Santiago Bernabéu. The former Tottenham star has been struggling with several physical problems since he arrived at the club during last summer's transfer window, but if there's a perfect timing for him to step up and claim the spotlight his status demands, that's most certainly now. Cristiano Ronaldo next game for Real Madrid will be against Atletico Madrid, next Tuesday night, for the second leg of the Copa del Rey semi-finals (February 11, 2014). Before that, you can watch Real Madrid vs Villarreal, Sevilla vs Barcelona live, Chelsea vs Newcastle United and Liverpool vs Arsenal live, all matches provided from our soccer live streaming section.